(NaturalNews) Skin: It is your body's largest organ, and groundbreaking new research out of Denmark has found that the proper function of your other vital organs is dependent upon its integrity. A collaborative research project out of the University of Southern Denmark (USD) recently discovered that human skin directly communicates and interacts with the rest of the body, meaning that, when it is not in good health, there is a good chance that the same is true about other vital organs. Professor Susanne Mandrup and her team stumbled upon this finding while researching something else, which she says came as quite a shock. While working with Nils Faergeman's research group at USD's Department of Biochemistry and Molecular Biology, Mandrup and her team observed that human skin literally "talks" to other vital organs, including the liver, which is responsible for filtering out toxins and processing carbohydrates and fats. According to Science Daily, the team had been conducting research on so-called "knock-out" mice, or mice that lack a special fat-binding protein known as acyl-CoA-binding protein, when they made the discovery. Some of the mice had strange, greasy fur and were having difficulties being weaned from their mothers, prompting researchers to take a closer look. Since these same mice were having difficulties processing fat through their livers, instead accumulating it over time, the team initially assumed that this probably had something to do with their missing liver genes. But after taking a closer look and conducting a series of experiments, it became clear that there was some other factor involved in this metabolic abnormality. "At first we thought that the fat accumulation in the liver was linked with the fact that the gene was missing in the liver of the knock-out mice," stated Ditte Neess, one of the researchers. "But this was ruled out by a series of studies, and we had to find another explanation." When they decided to take a second look at the mice, a combination of greasy fur and what appeared to be "leaky" skin led the team to some new conclusions. Since the leaky skin mice appeared to be losing more water than the other mice, making them colder, researchers hypothesized that this, and not the missing gene, was somehow responsible for a corresponding fat accumulation in the mice's livers. "When they lose water, they also lose heat," added Neess. "We therefore asked ourselves whether this water and heat loss could be the reason why the mice accumulated fat in the liver and became weak when weaned from their mother." As it turns out, this hypothesis was correct. The knock-out mice with the skin and fur problems were more prone to fat accumulation in their livers, and this was the result of their unhealthy skin. After applying a petroleum-based jelly to the coats of the mice in question, and later liquid latex, both of which stopped the heat loss in the mice, their fat accumulation issues also stopped. 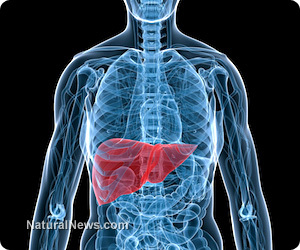 "We have showed that the skin affects the metabolism in the liver, and that is quite a surprise," stated the team. "We believe that the leaking of water from the skin makes the mice feel cold, and that this leads to breaking down of fat in their adipose (fat) tissue. The broken down fat is then moved to the liver. The mice move energy from the tissues to the liver."